This might seem to be an odd topic to discuss but I will do so briefly as it comes up from time to time. The interested reader really should learn the laws in Orach Chaim 128 about a Cohen and Orach Chaim 53 about one who wishes to become a Chazan and lead the prayers. A fundamental difference between the two is that the male who leads the prayers is a representative of the entire congregation. As such, if this is someone who is known to have sinned and has not repented faithfully then they should not be asked to lead the service. Of course, there is nobody who doesn’t sin. We are humans. The Halacha however focusses on someone who isn’t fit by virtue of them being known as doing the wrong thing when that “thing” is a more grave infraction. For example, someone who profanes Shabbos in public is not a person who we allow to be our chosen representative to lead the prayers. (I’m aware that there are Poskim who say that our generation is different and their breaking the Shabbos should not be seen as in the days of yore, however, this does not mean that we choose that person to lead the prayers!) There are many examples: someone who is married and is known to frequent other women is not permitted to lead the prayers; someone who has stolen money and not returned it, should not lead the prayers; someone who is unscrupulous in business etc. The list goes on. In general, the Gabbai (beadle) of a Shule chooses people who have requisite qualities (fear of heaven, being over 30, ideally married, understand what they say and be able to say it well, are capable of growing a beard, have children etc) as opposed to those with a serious question mark. Where there is an issue, one chooses a learned and pious person to lead the prayers, even if they have a poor (but not annoying) voice. Ideally, the voice should also be pleasant to listen to, unless there is nobody else. There is some subjectivity, and this is often an issue where a Gabbay must diplomatically consult the Rabbi. If someone questionable, who has not genuinely repented, insists on leading the prayers in honour of a Yohr Tzeit, this can become most unpleasant. Indeed, our Rabbis teach us that if the person leading the prayers has a serious question mark concerning them, then all the blessings they make on behalf of the congregation metamorphose into curses (God forbid). The Cohen is also performing a mini-leading of sorts. The Cohen, however, represents God in the Cohen’s positive Torah command to bless the congregation. He and his fellow Cohanim are bound by various laws that pertain to their suitability. For example, they should not have killed. [ An interesting question arises about the Cohen who is a soldier in the army. In Israel today, there is in my mind no doubt that each war is a מלחמת מצווה, a war where Israel’s very survival is at stake, and for which even a Groom joins in the defence effort. Defence however entails attack and attack inevitably leads to killing another person.] Another issue is Cohanim with physical defects, but it is not my intent to agglomerate all the laws here. One interesting qualifier of the Cohen is that when he blesses the congregation, this should be through a blessing of Ahavah; that is a love of their fellow Jew/congregation. A congregation that is unable to remove negative thoughts about a particular Cohen needs to make sure that this Cohen not bless them as part of a group of Cohanim who are blessing. The Aruch Hashulchan (128:21) explains the love pre-requisite of the priestly blessing based on the Zohar. This is brought by the Magen Avraham in his gloss 18 ibid. In other words, without being able to feel Rachmonus on a community there can be no bounded blessing based on love between the Cohen as God’s representative and that community and that Cohen should bless a community where he does find himself comfortable. Rachmonus is needed because it is rare to discover a congregation where there isn’t a single congregant about whom a Cohen has some doubts, and vice versa. It is likely a truism, that most people, including Cohanim, feel odium towards the behaviour of some of their fellow congregants. It may even be directly mutual. The key, however, is whether a Cohen is able to concentrate on a community and have positive feelings while he acts as a conduit to blessing the people on behalf of God. If he finds himself unable to muster Rachmonus, most certainly, he should try to remove this impediment in his character. If he cannot stop his thoughts wandering negatively, and the positive feelings do not envelope his blessings, then it is better that he not bless that congregation. At the end of the day, the Cohen is blessed by God himself, on account of the Cohen blessing the people. He who leads prayers, however, is a single person, who must represent, all the people. In this way, his acts and past acts can serve to invalidate him from performing such representation. Those who were not born with a voice that is appreciated by others generally don’t get asked and therefore don’t face this challenge of representative acceptance. Fobbing off the Gabbai when trying to avoid being chosen to lead the congregation, as its chosen representative, is also not encouraged. What should a congregant do if he is convinced that a particular Shaliach Tzibbur is of dubious character? 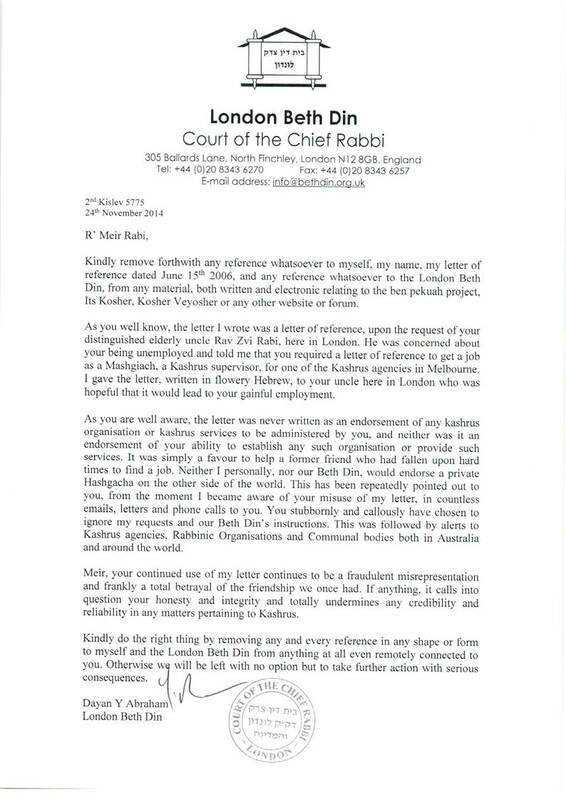 One should consult their Local Competent Orthodox Rabbi for advice. What should a congregant do if they loathe a particular Cohen who is blessing the congregation? Again, they should ask, although they do have the option of leaving the Synagogue at that time. These are most uncomfortable situations. Ideally, someone who has not performed as God would want, will confess and repent. A(n angry) Cohen who is unable to muster a feeling of congregational positivity-call it an attachment to the Tzelem Elokim of each Jew if you like-should also ask themselves whether they should be one of the group blessing that congregation. Previous Previous post: How do you deal with the name Zelig זעליג?